There are various forms of psychology, not just the commonly taught cognitive model. Indeed even the related types of psychology normally taught at university do not correspond to other models. 1. The search for the universal rule / scientific that can be applied universally to all people. 2. The breaking down of overall linked sciences or knowledges into neat little topics, known as reductionism. This lead to psychology, theology, philosophy, psychoanalysis, complementary therapy all being split into their own little pots. Not something that happens so readily in the Eastern psychology tradition. The result is what many people call “rats and stats”, referring to animal based cognitive behavioural experiments and statistics, about as far away from real life authentic human condition as possible. The search for universal truths, statistics, facts and statistics has created an obsession which often combines with observer bias and lab based work, meaning that any experiments are so controlled, artificial and generalised as to have no real value. The obsession in the academic world was described by the philosopher and psychoanalyst Lacan as their unconscious drive to find the missing little object “a”. This is the idea that we all become obsessed subconsciously with something having gone missing in our lives, and if we could only find it everything would be perfection itself. Institutionally this missing thing is represented in psychology as the search for universal truth. Ironically cognitive behavioural psychology undervalues the role of the unconscious, believing it to be something totally internal, not observable externally, therefore denying and repressing the fact they are acting it out. They then even apply rationalisation ( a classic defence mechanism) by quoting previous great masters such as Piaget or Skinner, what Lacan calls master signifiers, or indicators of their neurosis. Is all western psychology so flawed? Mostly, yes. Some universities do teach linguistics, psychoanalysis and even Lacan, but this is rare. The Open University MSc I (Stuart) completed was unusual in that it studied all of these in depth as well as other critical thinkers including Foucault. Unfortunately other areas are also flawed, such as so called developmental psychology. Piaget and other developmental thinkers have tried to assert that there are fixed stages to development. This implies that you complete each one in a linear way. Lacan goes back to Freud and suggests that it is not linear because any trauma at an early stage carries on having effects long after the stage is over. Indeed we carry on attributing flexible and dynamic meanings (or gists) to the trauma over time, it is neither rooted solely in the past, nor fixed in meaning. Biological psychology is also problematic since it is an area in which we have only really uncovered the tip of the iceberg, extrapolating wildly about what else might be there and how it might work. An example of changing understanding over time can be seen in addictions and pleasure where we now know that there are pleasure “circuits” passing through many areas of the brain, and not single pleasure related areas as first thought. Likewise with addictions we now know that both dopamine and opiate receptors are implicated rather than just the former. 1. Qualitative not quantitative. in other words real life observations and examples recognising the individuality of each case, rather than statistical trying to lump many different cases together. 2. Looks at the real life human condition in it’s complexity and difficulty and does not expect to be able to find some “holy grail” of perfection. Western Psychology however, in it’s positivist tradition seeks the universal knowledge to better all mankind, as if we are all similar, or identical, and can all achieve some behavioural nirvana. This pathologises suffering, whereas the psychoanalyst will see suffering as a natural part of the human condition and experience. There is huge cross over between psychoanalytic theory and both Eastern Psychology and Philosophical psychology, otherwise referred to as the philosophy of the mind. Eastern psychologies are not artificially split off from their original mixture of theology, culture, philosophy and psychology. Buddhist psychology or Zen psychology methods, for example, relate back to the other parts, even if you do not have to share or adopt them. They have a more holistic nature and again deal with the human condition and what it means to be a human being, rather than trying to break us all down into rules and universal truths in the western sense. Note: Buddhist psychology does refer to universal truths and rules, but these are in the context of if you follow them (for example the eightfold path, the noble truths, or the energetic energy rules) then you will make a positive difference. When applying methods like mindfulness, Naikan, Satori, Morita or meditation, the objective is self development and self help, not pathologising. According to some sources eastern psychology can be traced back to 4500 BCE, and therefore, like Traditional Chinese Medicine, has a wealth of history, practical application and credibility. Recently the Chabbad Jewish organisation has begun trainings in Jewish forms of mindfulness that vary yet again and are more concept and visualisation based, and do not focus on breathing. Before psychology was “invented” as a stand alone discipline in the West, philosophers and theologians were the people who studied the mind. Right back to Ancient Greece, philosophers struggled with psychological questions. It was under Alexander the Great that the first mental health asylums were created, albeit far more holistic and caring that most modern institutions! They favours good food, exercise and pleasure. Post Greek philosophers included Roman and Muslim thinkers, and then in the last few hundred years, Classical, continental, Logical and American philosophers all have contributed to the debate. Some thinkers of note include Hume, Nietzsche, Foucault, Descartes, Heidegger, Laing and Freud. What about the psychological therapies in the UK then? Essentially psychiatrists use biological psychology and give out drugs. 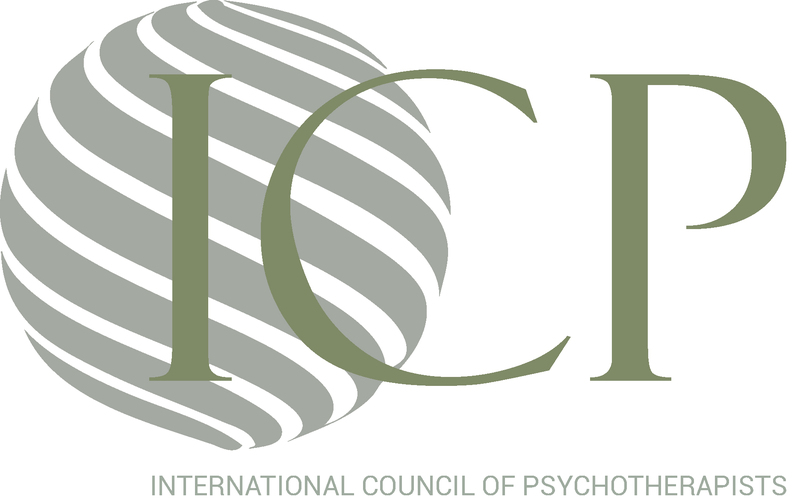 Clinical psychologists normally are CBT based and use western psychology methods. Therefore the NHS provision is essentially western psychology based, and very narrow in variety or scope. Psychotherapists and counsellors use a wide range of psychologies including person centred, humanistic, eastern, western and positive. Generally thinkers like Egan, Nelson, Berne and other humanists tended to be person centred, have a rather non structured theory base and much of Gestalt, TA and humanist theory is “watered down” and “borrowed” from psychoanalysis or eastern psychology. This has the advantage of being flexible and less demanding on the practitioner, but has the disadvantage of not enabling (arguably) the tools and format for deeper personal psychoanalysis. 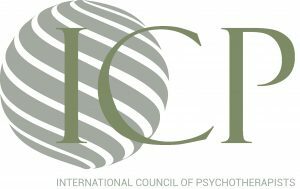 Psychoanalysts use some or many of the psychoanalytic models, which normally are more firmly adhered to then by psychotherapists or counsellors, but often share roots in Freud, Lacan, Jung, Klein and so on. I (Stuart) realise that the above is only my opinion and not everyone will agree. Hopefully it is thought provoking at least, and informative at best. My views are coloured by having initially trained in multi modal :psychoanalytic and hypnotherapy based, coaching and teaching therapy, humanistic based, and cognitive behavioural, and then later theological including Eastern, then Western (including a MSc) and then more Eastern. My personal standpoint remains psychoanalytic and over time I have become more convinced of the position held by critics including Laing, Lacan and Foucault. Stuart is a CNHC registered hypnotherapist and a SHTC, NACHP, NCP, ICP, FHT registered psychoanalyst, psychotherapist, complementary therapist, psychologist, counsellor and life coach (each body registers a slightly different combination). He does not fall under clinical psychology registration, he is registered under psychotherapy, psychoanalysis and hypnotherapy.